Anime auteur Mamoru Hosoda's latest Mirai received its world premiere at this year's Cannes Festival, to rapturous reviews and a standing ovation. It is also due to play at Annecy next month. Which is all well and good, you say, but when will the rest of us get to see it? Anime Limited has now confirmed that the film will be coming to screens in the UK on November 2. However, we'd not be surprised if the film screens before that at London Film Festival, Scotland Loves Anime, and possibly some other festivals too. A website has launched, where you can register to be notified when tickets are available. Mirai is a sci-fi/fantasy tale about a four-year-old boy called Kun, who feels jealous of his new baby sister, Mirai. Until, that is he somehow encounters an older version of his sister, and sets off on a magical adventure through time and space. of baby sister Mirai as competition for his parents’ love. 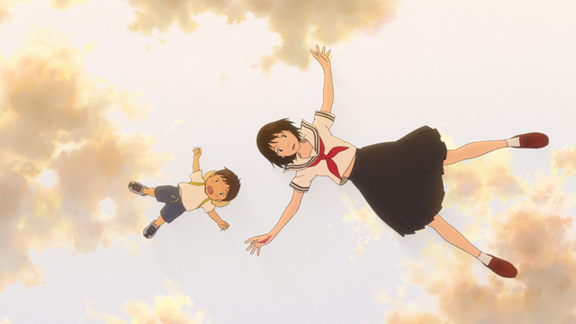 Combining themes of his past films The Girl Who Leapt Through Time, Summer Wars and Wolf Children, it promises to be a moving and magical experience for both Hosoda fans and newcomers. Inspired by his own family, it looks like this will strike a chord with audiences the world over. Mirai will also be released in the United States by GKIDS Film later this year- although the exact date is still to be announced.